Announcing the second full release for Ironwatch Games, we’re proud to bring you Mawbeast Madness, from the mind of Glenn Allan! 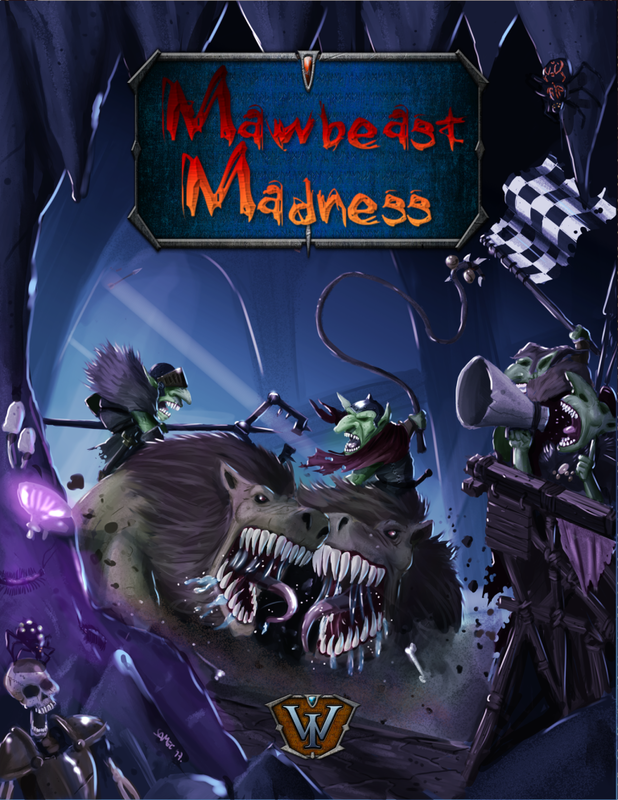 Featuring all the high-adrenaline excitement of racing combined with the temperamental and homicidal Mawbeast nature pitted against the devious cunning of Goblins, Mawbest Madness uses the Dungeon Saga rules as a base to enable you to race your friends and enemies around underground tombs, forgotten lairs, and forsaken ruins! Use hidden passages to zip across shortcuts, pick up items to improve your own odds and impede your opponent, and of course get into good old-fashioned brawls along the way. 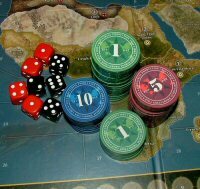 Featuring custom cover art from Boris Samec, this short-but-sweet rules supplement is a must-have for those seeking to throw down a checkered flag of challenge at your next tabletop wargame session!